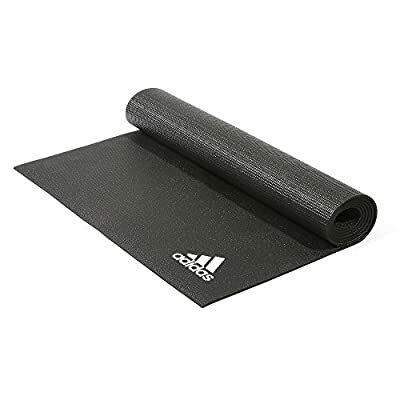 The adidas 4mm Yoga mat is designed to help every Yoga or Broga® practitioner to improve overall body and mind condition and reach numerous wellbeing goals. The mat features a simple but elegant non-slip design with a textured surface for better traction and it's 4mm thick to provide an appropriate level of soft cushioning for your joints. Being 173cm long and 61cm wide, it's ideal even for taller Yogis. The mat is excellent for regular yoga practice and can be conveniently cleaned and stored. With different colours available, you can find one to complement the rest of your yoga gear and complete your range of accessories.